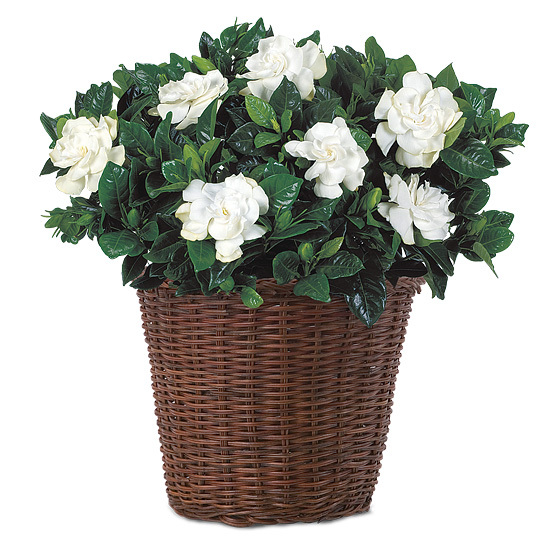 Blooming with fragrant creamy white flowers that can’t help but summon smiles, the gardenia plant has long been one of our customers favorite gifts to give. And to make your special occasions really shine, we’re now offering it in our hand painted “Summer” green cachepot. We will send an exquisite, mature plant already in bud or bloom. 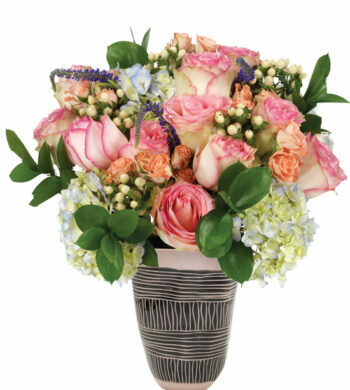 With proper care, it may flower year-round, with the most abundant blossoms spring through summer. 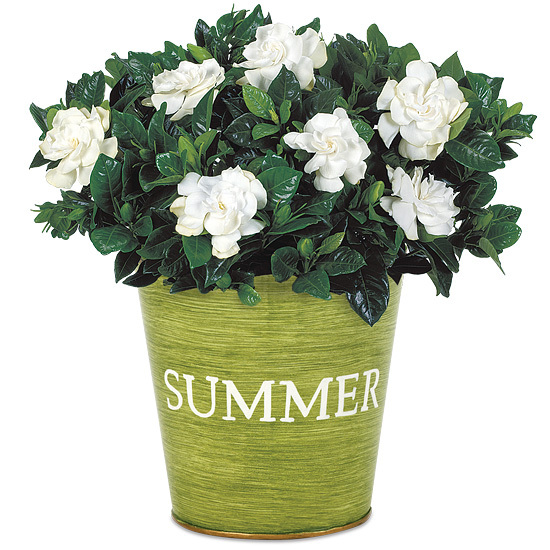 Do not over water your gardenia as leaf drop can result. 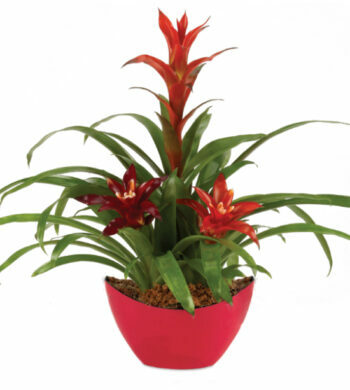 The plant prefers to not be too warm and dislikes low humidity interior environments. To keep your plant full, cut back any long un-branched new growth, making the cut just above the leaf joint. 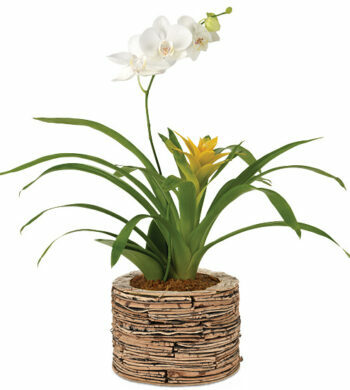 Your plant will bloom indoors for up to two weeks, afterwards we recommend planting it outside in a sunny area. Remember if you’re planning a party, plants make stunning decorations for a buffet table.